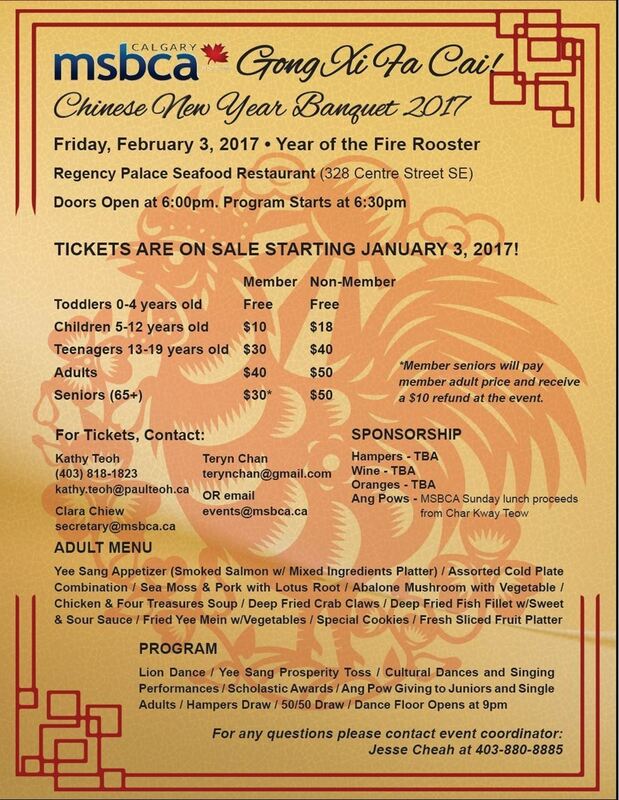 Let's start Rooster Year with a BANG by celebrating it with MSBCA (Malaysian Singaporean Brueneian Community Association)! Register now to MSBCA, attention to Jesse Cheah. See attached poster for details!